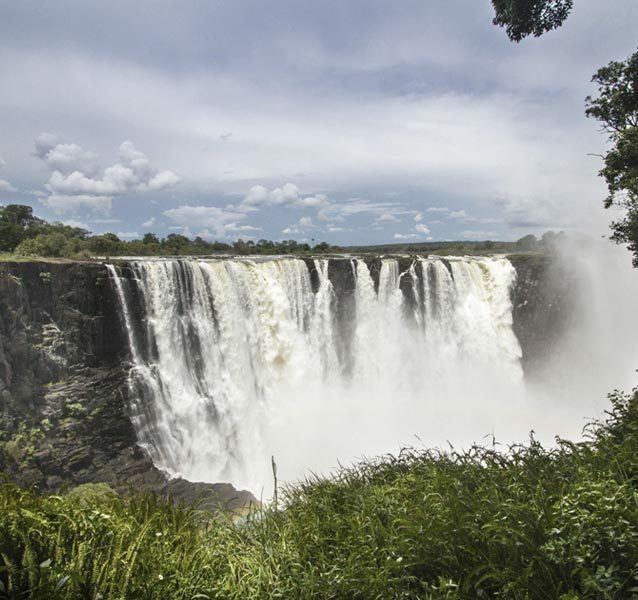 Live out the adventure of a lifetime, while camping as close to nature as you can get in the relaxing solitude of the African landscape. 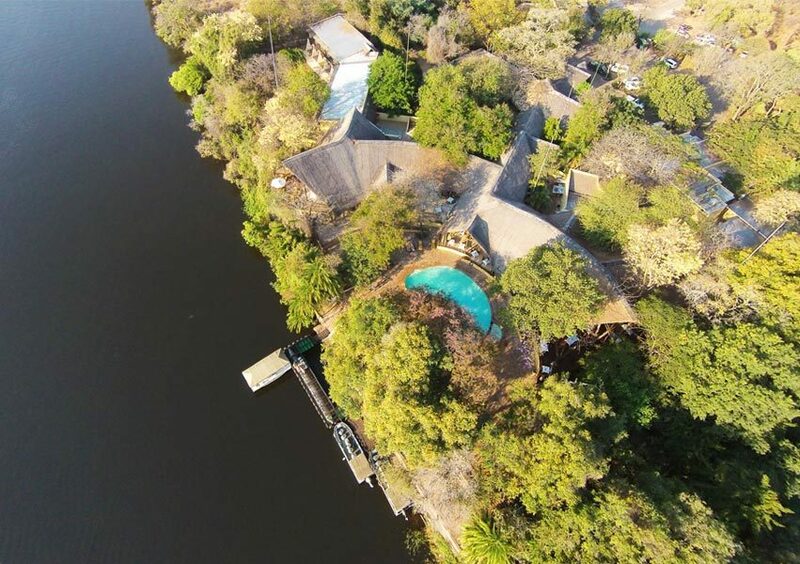 Chobe Under Canvas is perfect for adventure enthusiasts, seasoned bush lovers, repeat travellers, photographers and birders. Experience the rustic charm of camping combined with the comfort of full service, a flush toilet and steaming hot bucket showers. 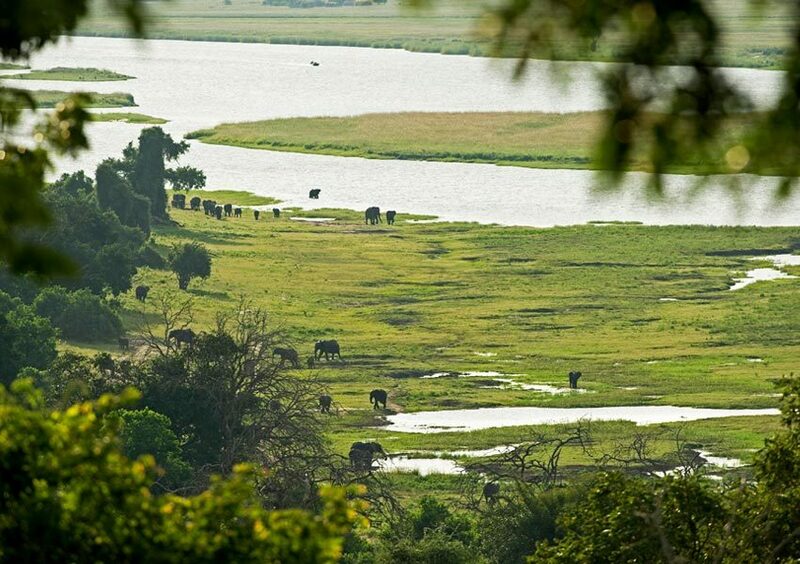 Chobe Under Canvas is carefully positioned as close as possible to the resident game of the Chobe National Park. 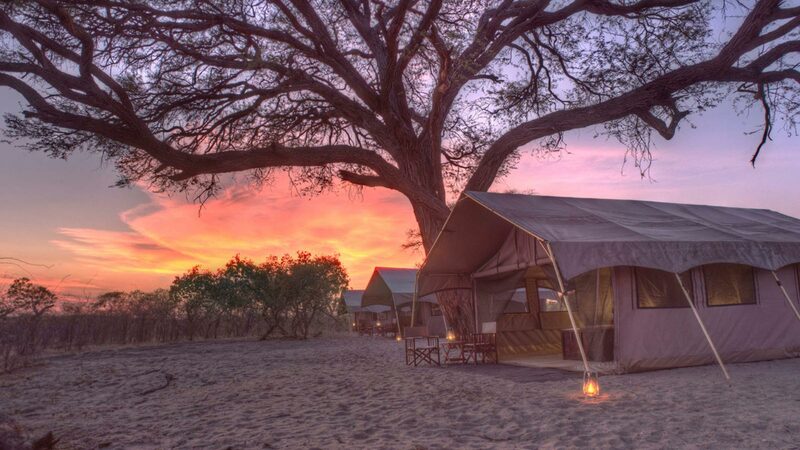 Enjoy the simplicity of the mobile tents at private campsites in one of the top wildlife areas in the world, and home to some of the largest elephant herds on the African continent. 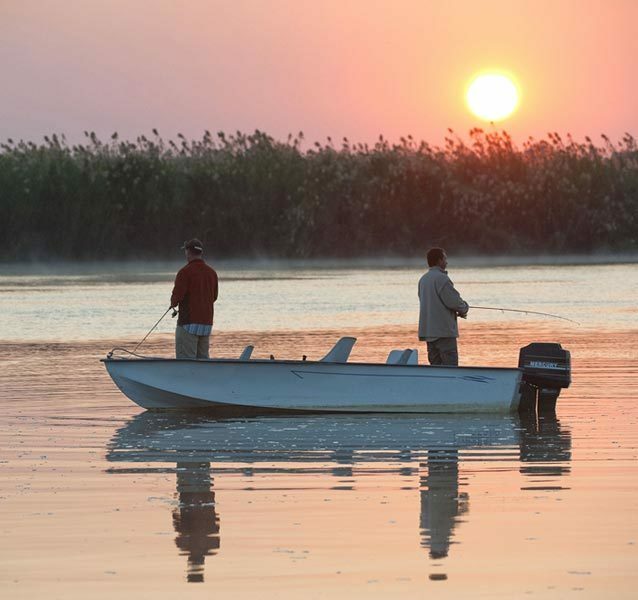 Enjoy morning and afternoon game drives and private boat cruises on the Chobe River. 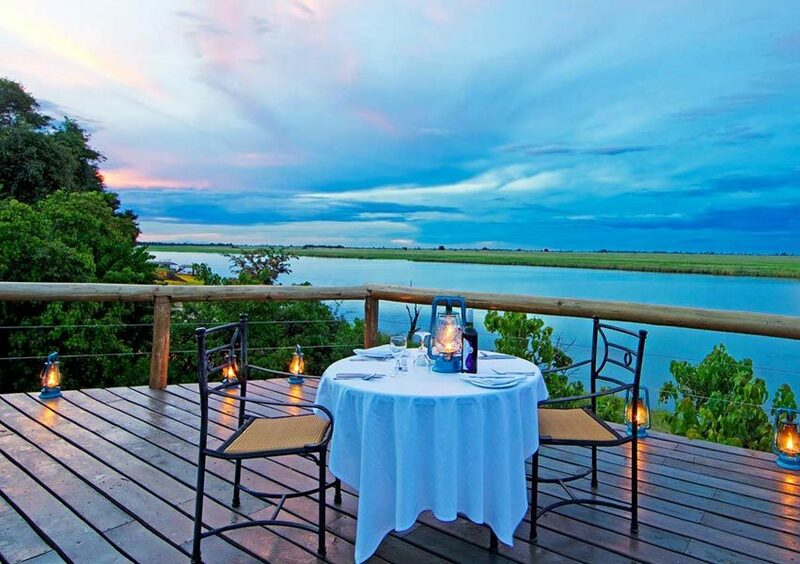 Dine beneath the stars on mouth-watering meals freshly prepared over an open fire. 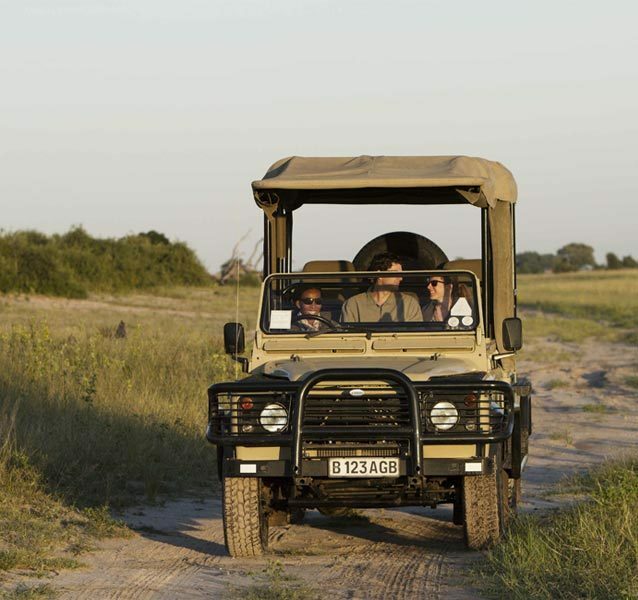 Well-used animal trails meander between five ensuite safari tents at Chobe Under Canvas, positioned at exclusive campsites in the northern reaches of the park, and within driving distance of the Chobe River. 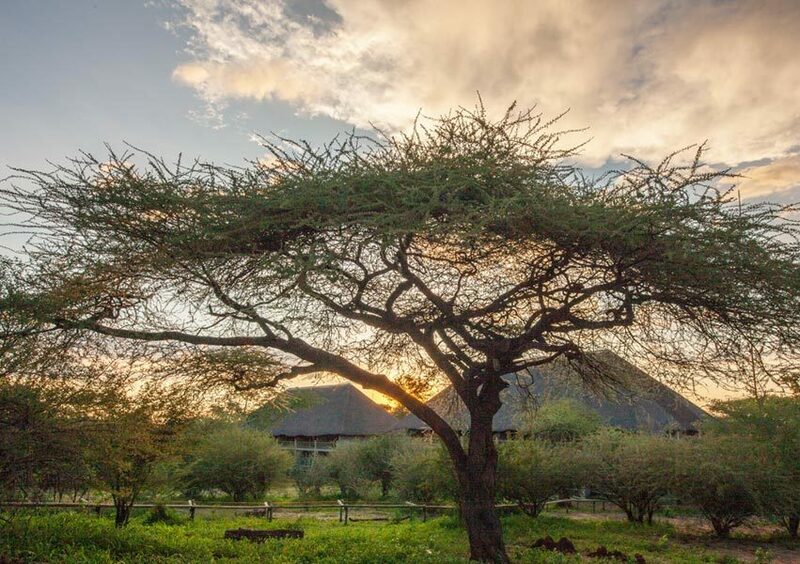 The guest areas comprise of spacious tents for dining, pre-dinner drinks or simply whiling away the time between game viewing adventures with a good book and frosted beer or glass of wine. Delicious meals cooked over the coals are shared around a blazing fire. 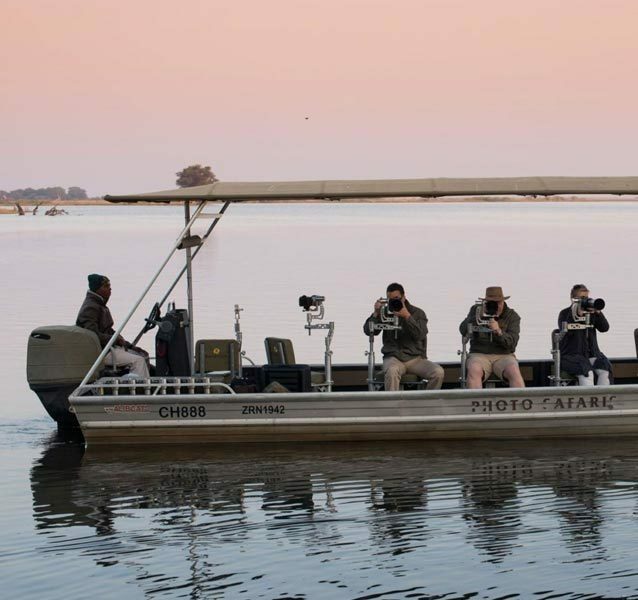 During your stay, enjoy twice-daily game drives and one half-day photographic boat safari that will allow you to capture the magnificent fauna and flora of the Chobe River, aboard a custom-built Pangolin photographic boat. 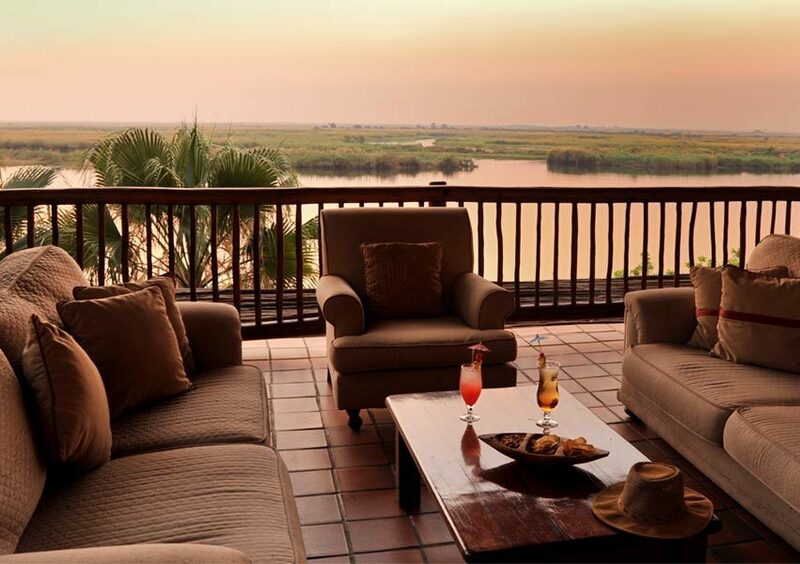 Enjoy the rustic charm of camping combined with the comfort of full service. Camp in comfort with ensuite bathrooms and al fresco hot bucket showers. 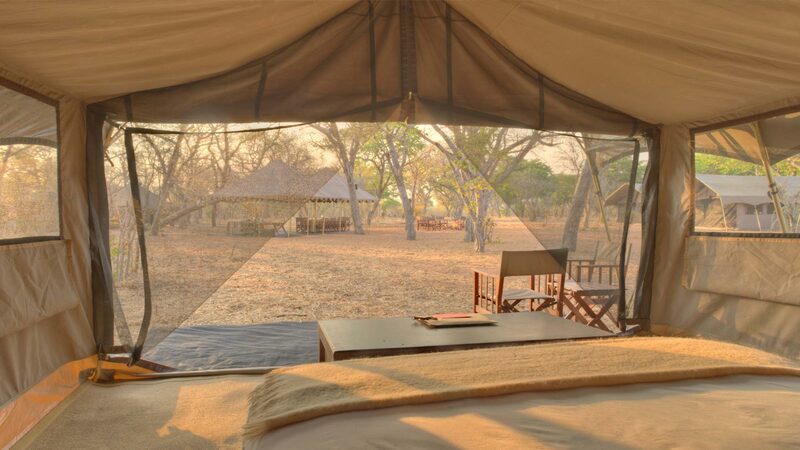 Chobe Under Canvas consists of five comfortable mobile safari tents. 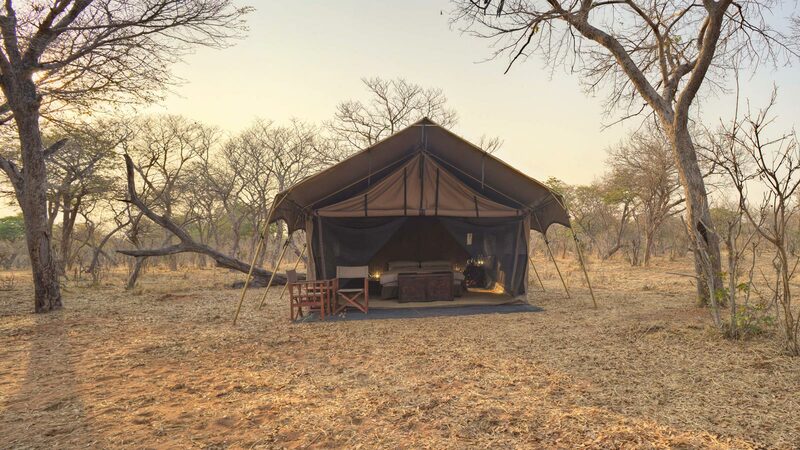 Each canvas tent boasts a comfortable double bed, as well as an ensuite bathroom with flush w.c and steaming hot bucket shower, with water delivered on request. 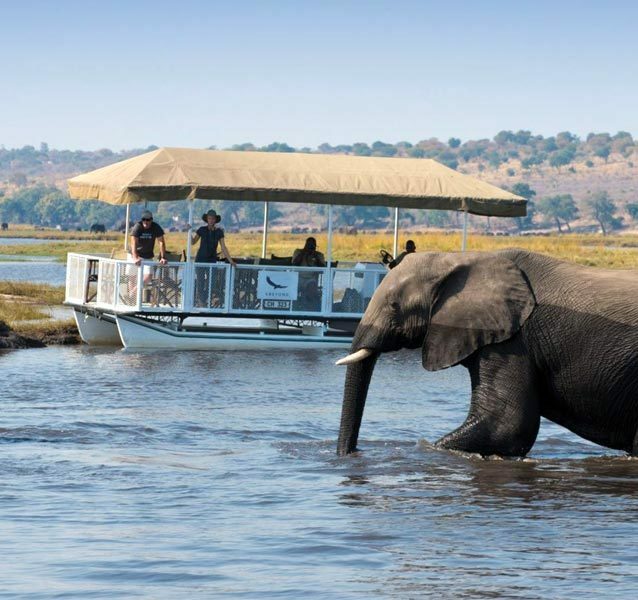 Chobe Under Canvas is set up at secluded campsites in the game-rich Chobe National Park and offers up close and personal encounters with Botswana’s wildlife. 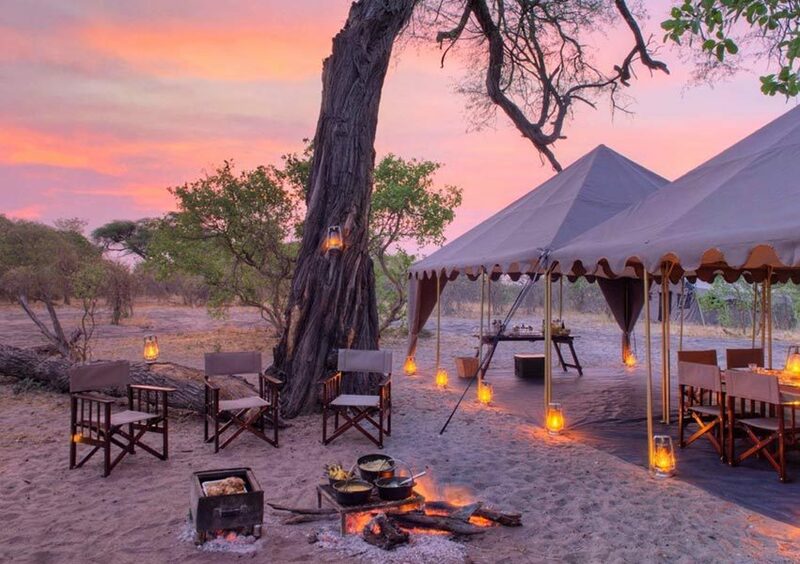 • Rates quoted are for safari tents. Other room type rates are available on request. This activity is on people’s minds.